Mossland is a mobile game with elements of augmented reality and the use of property objects. Users can find and seize property for later sale in the game. Virtual objects inside the game can be sold and passed from hand to hand for crypto currency, so users have the incentive to spend time and effort on increasing the value of their property. As the number of players increases, an increasing number of buildings will be owned. Watching how the familiar landscape of cities change their appearance due to the exotic visual effects of augmented reality will be incredibly interesting and will help draw attention to the game. 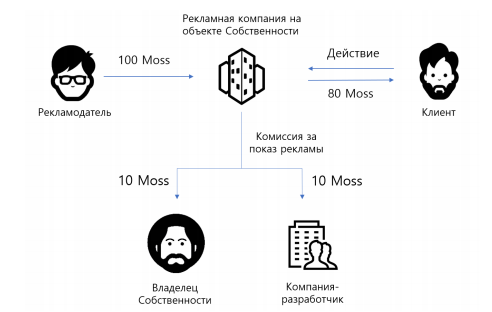 Mossland users will be free to buy and sell buildings using the system of game auctions. Transactions between users will be made using the game currency MOC. After the release of the game, the token will be presented on the crypto-exchange exchanges. Mossland is also an advertising platform based on combining the game based on the location in the real world and the technology of augmented reality. Any user can create and run an advertising campaign using a clear interface and setting an advertising budget. Since the game is based on location, advertising will be shown to users who are close to objects of gaming property, which is likely to encourage users to visit the site or make a purchase. Because of the nature and the plot of the game, there will inevitably be competition for the most famous buildings between the first players. The problem, which is expected to arise in the early stages of the game, will be that the first players will be able to get popular buildings and objects with minimal effort. In this case, it will be difficult to provide long-term motivation for users, and players who later join the game, may feel hurt. To prevent this problem, the company will take in advance most of the popular objects and buildings at the beginning of the game. 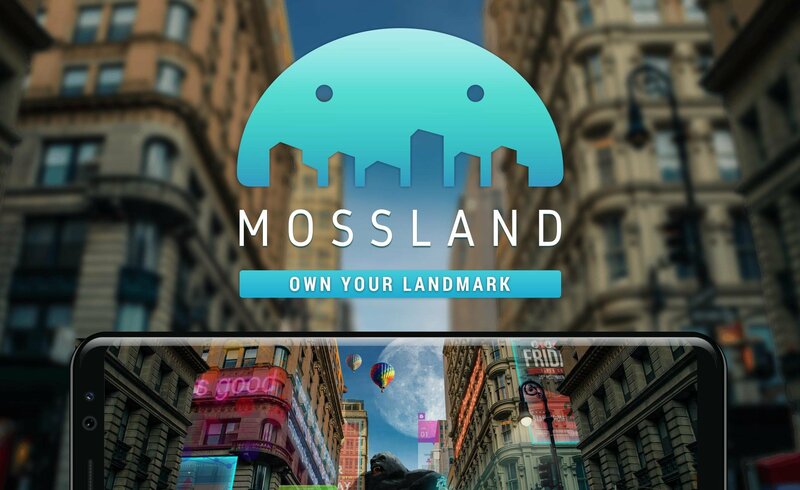 Mossland is a location based AP mobile game based on real estate. Users can identify real estate in the area, buy and sell them in the game. Virtual objects in the game can be exchanged and liquefied through the exchange crypto currency, so that users can put time and effort to increase the value of the property. Dependence on location services (lbs) became popular as the GPS capability was available due to the personal use of smartphones. Based on such availability of GPS, users will compete to take virtual property buildings and shops in the immediate vicinity, aka check-in games. However, as technology giants such as Google and Facebook also added, registration services, simple social exchange services and checking others have lost their competitiveness. At the same time, due to a significant improvement in mobile device performance, AP services that manipulate real-time video with virtual objects have shown great potential. By adding augmented reality technology, which is the manipulation of virtual objects from the real world, based on location of services, this will create a completely new experience of mobile services. Mossland adds in-depth gaming for traditional registration in games, such as Foursquare. By installing AR objects by properties, this will enhance the users’ gaming experience and motivate users to decorate and brag about their properties in addition to the basic gameplay of acquiring, protecting and taking responsibility for them. 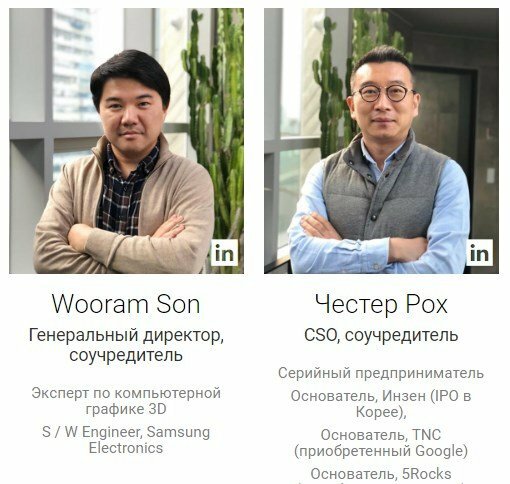 The company founded in 2015 by Reality Reflection, a developer of the Mossland project, is focused on virtual and augmented reality and specializes in digital human character and game development. The company has such successful projects as Miniature Tower Defense, Music Inside, Speed Ball Arena, Vmoji, Gangsta Underground Poker. Over the project Mossland employs 18 professionals in the field of technology VR and AR, game design and marketing. The project with an excellent idea and huge potential, the development of the project is entrusted to an experienced team of developers with work products in the portfolio. Gaming the augmented reality using crypto currency will attract a new audience to the crypto industry. Only 5% of the tokens were sold on the pre-list, 45% of the tokens will be sold at the main stage of the ICO on March 12, the HYIP is gradually gaining momentum.